Doctor Strange and Dormammu introducing each other by the name of the same Actor who plays them both. 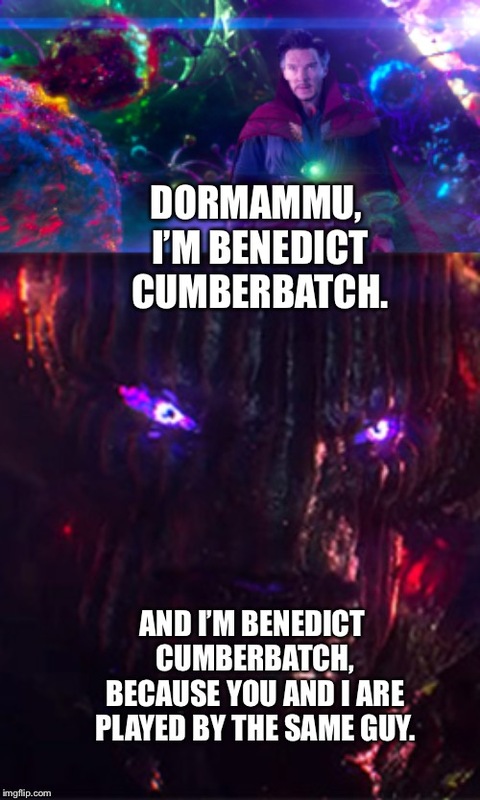 DORMAMMU, I’M BENEDICT CUMBERBATCH. AND I’M BENEDICT CUMBERBATCH, BECAUSE YOU AND I ARE PLAYED BY THE SAME GUY.